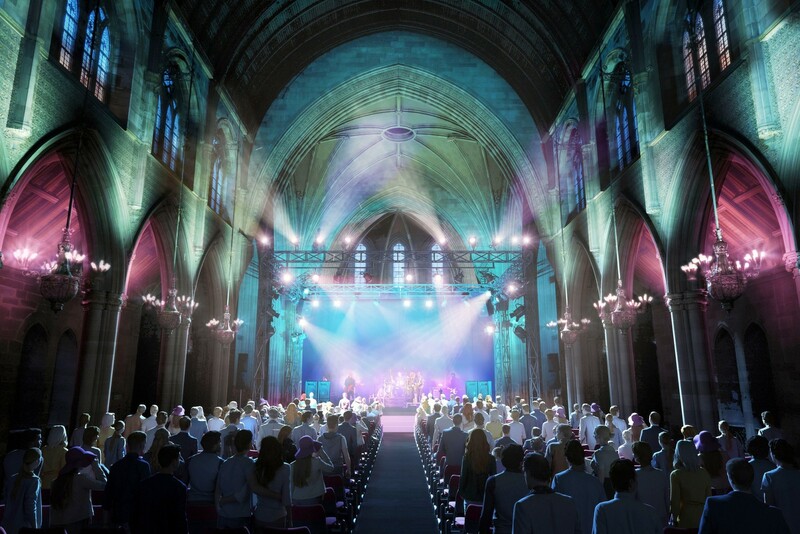 Paisley’s A-listed Coats Memorial Church could play host to a multi-purpose entertainment venue with the launch of a £1.5m fundraising campaign to make the dream a reality. 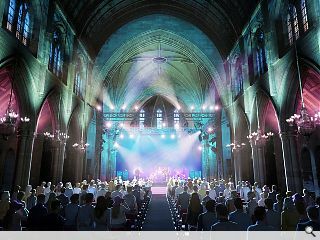 Local practice Framed Estates have been commissioned to prepare a feasibility study for a change of use for the A-listed church to form a mixed art, music and entertainment venue. This will include construction of a small ticket office, newly landscaped gardens and a 30-space car park. 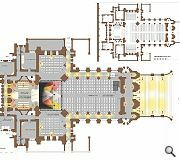 Internally a 40sq/m demountable performance stage would be erected within the gothic landmark with pews replaced by 634 flexible theatre seats. The current basement meanwhile could accommodate a further 200 seated guests for events and banquets, served by an on-site kitchen. 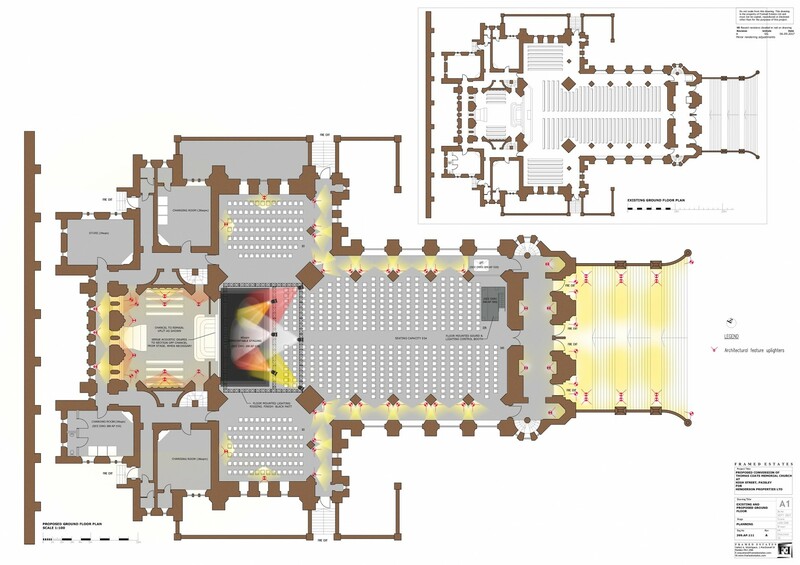 A 400kg lift would also be installed to facilitate disabled access between the church floor and ballroom below. 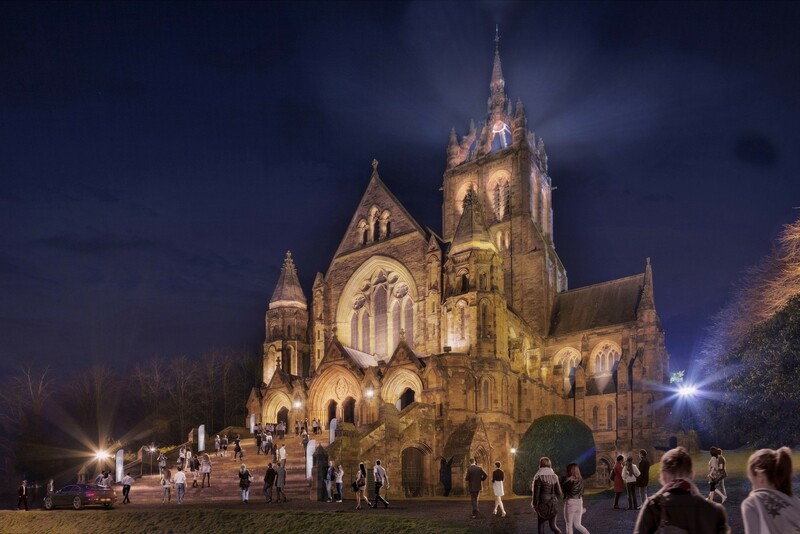 The Coats Memorial makeover ties in with a £42m makeover of Paisley Museum, part of wider efforts to establish a new cultural quarter. A Just Living page has been set up for those wishing to donate and the church itself will open its doors every Saturday from 12:00 until 16:00 for the duration of the campaign. Hope they keep the wonderful toilets. There was a proposal thirty something years ago to build flats behind the church. 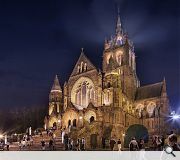 If sympathetically done it could help the viability of the project.